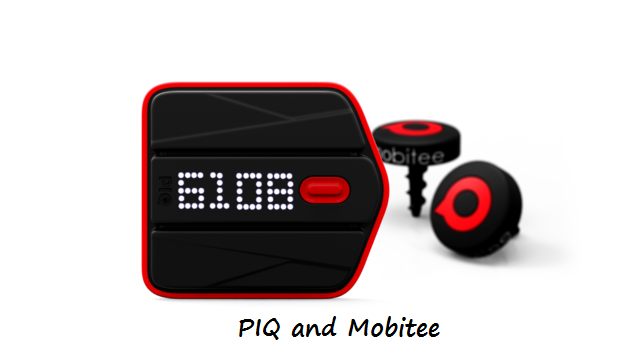 The hottest and most advanced technology – a wearable multi- sport sensor – is now available for golf, thanks to a partnership between PIQ and Mobitee. What is the accurate distance to the green? Which golf club should you use to get there? Now, these answers will be delivered directly to your on-glove display using GPS positioning and, as a bonus, you will be able to analyze your tempo, swing path and club head speed! How will this new technological advancement help your golf game? Simply pair the sensor with Mobitee, attach the tags to your golf clubs, clip PIQ to your golf glove and get ready to be amazed. An LED Matrix display, great for outdoor viewing, will take sensor readings, transfer them to our Mobitee app and give you the kind of feedback only advanced technology can deliver. Imagine being able to track and record yardage for all of your shots and to know your distances with each golf club. PIQ will learn your distances over time and provide averages so that you always make the right decisions. Add to PIQ innovative technology Mobitee’s video flyover feature, over 37,000 mapped golf courses, an accurate rangefinder, GPS, scorecard calculator and more and you have a very smart and complete, connected wearable solution, ready to transform your golf experience. 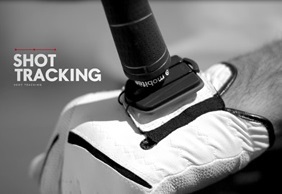 Get Remaining Distance to your target, a Game Tracker and Swing Analyzer, all delivered to your On-Glove Display without ever having to remove your smart phone from your pocket! Golf is the first sport that has the PIQ sensor and platform fully integrated; the great thing about this wearable tech is that it can be used for a variety of sports, from basketball to tennis to soccer. If you play multiple sports, this wearable tech can improve your performance on many surfaces from clay to grass! An incredible tool at an incredible price. Think you’ve seen it all? Take a look at our video below and visit Mobitee.com for more info. Follow Mobitee on Twitter and Facebook for the latest updates on PIQ! Mobitee Mobile Golf Assistant Offers Big Discount for the Holidays! Mobitee GPS Golf Assistant is available on all the popular mobile platforms from iPhone and Android to Windows phone. Our tech staff strives to make Mobitee equally powerful on all devices. It’s official – Labor Day weekend is upon us and summer vacation is over. There is plenty of sunshine and warm weather left to enjoy a round of golf this weekend and, here at Mobitee, we have a great suggestion. Extreme 19th – Experience the Hardest Golf Hole Ever! In 2013, Mobitee released a BIG update with statistics for iPhone users. This version brought users many fascinating features and made our app even more powerful and useful. No other application for smartphones can boast the same list of features as Mobitee. The Winners of Mobitee Golf Gift Certificate Draw Announced! About a month ago, Mobitee GPS Golf Assistant announced it’s first draw – a contest for both United States and U.K. participants. We have picked the winners! Why Update to Latest Version of Mobitee GPS Golf App? Play Golf and Win with Our New Mobitee Contest!